According to the National Insurance Crime Bureau (NICB), copper theft has accounted for a staggering 96 percent of all reported metal thefts in the past three years, 55 percent of which occurred on commercial property. In terms of location, Texas recorded the second-highest number of copper theft claims of all states between 2010 and 2012, with only Ohio reporting a higher number. 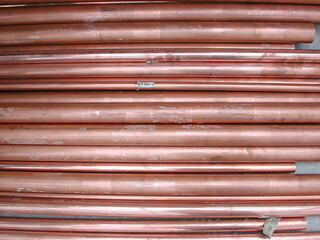 And the NICB reports that copper theft almost directly correlates with the COMEX price of copper—when the market value of the metal spikes, so do instances of its theft (as evidenced by the increase in copper theft in August of 2011 after the price of copper hit $4.40 per pound in July). Because the threat of copper theft never really diminishes, any targets—commercial property owners in particular—need to be ever-vigilant in order to protect themselves. And the most effective way to secure your property is with a defense protocol that includes live video monitoring. Tucson Electric Power, for example, implemented a video surveillance program which has resulted in zero reported copper theft at their substations in the last year. Our trained personnel monitor live video feeds of your property, watching for suspicious activity and quickly notifying the local police if anything seems suspicious, and we make use of the latest in security technology. As Texas is such a hotbed for copper theft and instances of the crime show no sign of slowing, it is important to take the necessary steps to protect your business and your property. Contact Stealth Monitoring today to find out what we can do for you.